In this chapter, we explain how SMURPH objects can be queried for information, and how that information is presented to the user. 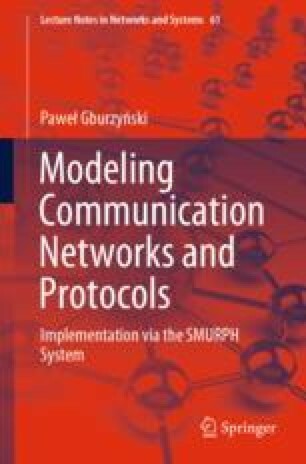 In addition to various natural “instrumentation” data from the simulation experiment, amounting to performance measures or conformance tests, SMURPH can produce snapshot dumps of the internal state of its processes, ports, transceivers, channels, etc., visualizing the internal workings of the model. That information can be written to a file or sent to an external program for a dynamic, on-line presentation.